Made of soft, amazingly strong fabric, our Vista cellular shades are as substantial as draperies yet sleek and contemporary, without any visible cords or holes. The cellular structure offers superior insulation qualities and consistent crisp pleats. Neutral color to the street creates a uniform look form the exterior of the house. 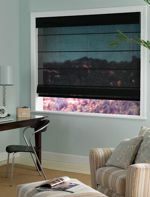 Available in small and large single cellular and double cellular fabrics ranging from Semi-Sheer to complete blackout. 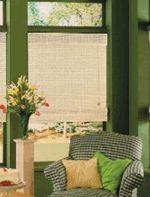 Our Vista Pleated Shades offer you the convenience of a blind with the soft, fashionable appeal of a shade. They are made of soft fabrics that are amazingly durable. The crisp, linear look of these elegant pleated shades will add freshness to your interior design. 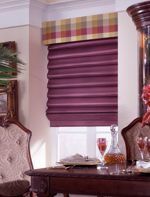 Pleated shades come in a wide and wonderful range of patterns and textures. Several colors coordinate with our vertical blind collection creating matching options that will complement any room decor or window style. 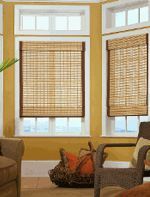 1″ and 2″ pleat sizes ensure the perfect shade for small or large windows. 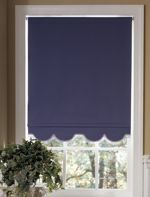 Our Vista Roman Fold Shades are the perfect way to express your sense of fashion and style. Whether you choose flat-fold style, for smooth, neat lines, or looped style for soft cascading folds, you will create a warm and elegant look that will complement any decor and make your guests feel welcome. 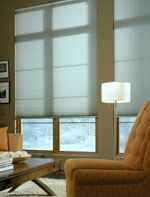 Semi-sheer, translucent, and blackout fabrics offer light filtering options that range from a soft, daylight glow to complete room-darkening privacy. Available in seamless widths up to 120 inches, Roman Fold Shades are a luxurious yet practical addition to any room. Our Vista Classic and Casual Collection is the perfect solution for bringing a relaxed, “get a way from it all” feel to any room. Our carefully selected, bamboos, grasses, reeds, matchsticks, and natural woods are available in a wide variety of textures, patterns, and weaves. These selections offer various degrees of light filtration and privacy levels. For the best of both options, add our operable pleated liner. This patented idea incorporates a pleated shade liner that is attached to the woven wood headrail so it does not require any additional depth clearance. The liner operates independently of the woven wood shade allowing the customer to have that tropical look and feel plus privacy on demand. Vista Products has taken this traditional, dependable window covering option and raised it to a new exciting level. 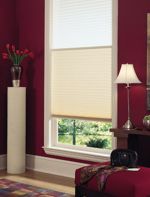 Our window shades offer a wealth of possibilities. A variety of color, texture, hem styles, trim and pull options are available for you to customize your decor. Achieve that special, individualized look with our custom roller shades. In addition to our traditional Vista line, we now offer Mermet and Vision Solar Shades. Chosen by top architects and builders, Solar Shades grace museums, universities, and major corporate offices around the world. Discover the beauty and comfort that their superb blend of design and function will bring to your home. Solar Shades are offered in several degrees of openness. The higher the openness factor, the greater the view. Add energy efficiency and temperature control to all windows and sliding doors. Reduce glare and block damaging UV rays to enjoy a more relaxing environment. Vista Products Natural Weaves Collection offers the perfect solution for bringing a tropical getaway feel to your home. Our carefully selected bamboos, jutes, grasses and natural woods are available in a wide variety of textures, patterns, and weaves offering varous degrees of light and privacy levels. All natural products mature and change shape over time. To ensure the closest match in color and hue it is important that all shades are ordered at the same time. Attached fabric liners are available in room darkening or light filtering fabrics to provide additional cotrol over light and privacy and adding UV protection and energy effeciency at the same time. For privacy on demand, add a roman operable liner. The roman style liner raises and lowers independently of the woven shade giving you privacy as needed.